Glo Day Spa & Salon Sanur, Sanur, Denpasar, Bali. Information, Photos and Reviews. 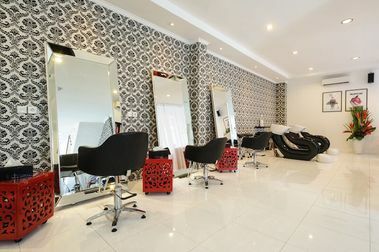 Glo is a hip, contemporary and vivacious space offering an extensive selection of good grooming staples such as manicures, pedicures, waxing, eye lash and brow tints, eye lash perms and spray tans and deliciously pampering massages and body treatments delivered by a team of well-trained and service-savvy technicians. 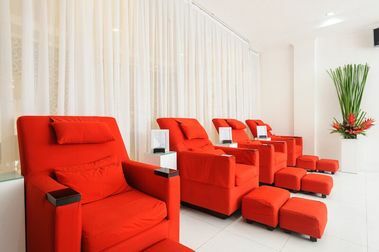 The bodacious one on the tropical landscape, Glo Day Spa exudes city style and sophistication in everything from the design to the treatments and services to the accompaniments of wine, beer, French-pressed coffee, gourmet teas. Appearances are important to Glo Day Spa and this is one book that is happy to be judged by its cover. Nobody has reviewed Glo Day Spa & Salon Sanur yet, Be the first. You are submitting a booking enquiry. Glo Day Spa & Salon Sanur will then contact you by email with details of availability and prices.